Volkswagen Connect is an optional add-on to see information about your Volkswagen car on your smartphone remotely. Is it any good though? We give it a whirl. 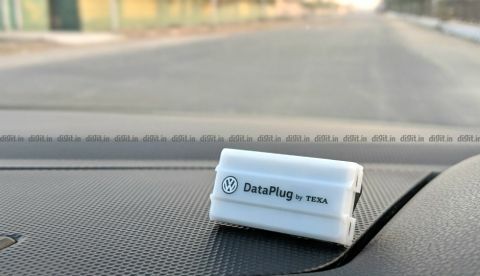 While Maruti Suzuki launched its Connect telematics solution in July last year for the Nexa line of cars, Volkswagen followed in its footsteps shortly after. The German car maker introduced Volkswagen Connect as an optional add-on on the Polo, Ameo, and Vento in October 2018. 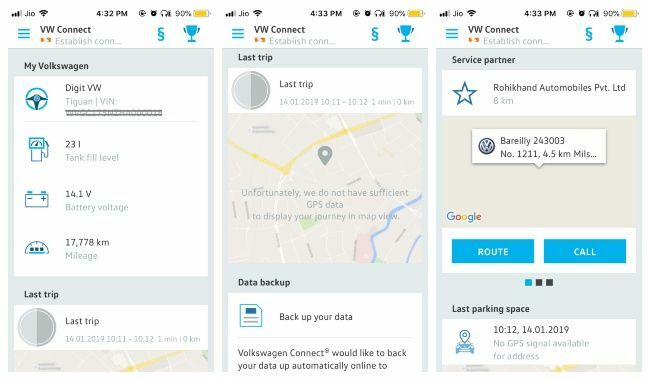 Volkswagen Connect is a "connected vehicle assistant" that shows you essential information about your Volkswagen car on your smartphone. It also identifies the nearest Volkswagen service centre and enables faster access to roadside assistance. We take the new digital accessory for a spin. Technically compatible with most Volkswagen models sold after 2008, the Volkswagen Connect sold in India works with the following models: the Polo (1.0 MPI, 1.5 TDI, GT TSI, and GT TDI), Ameo (1.0 MPI, 1.5 TDI, and 1.5 TDI DSG), and all variants of the Vento, Passat, and Tiguan. When set up, the Connect system delivers information about your car to your smartphone by reading data from the car. 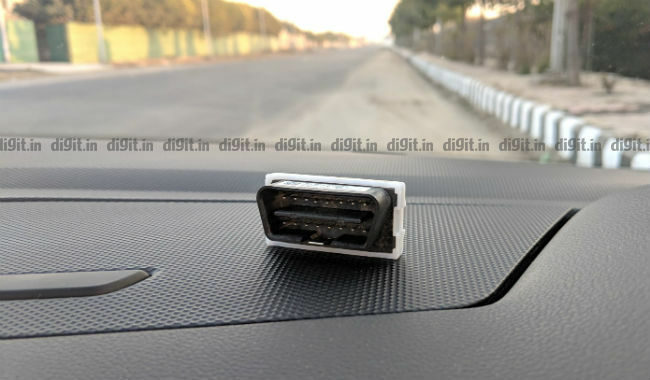 It reads data with the help of a Bluetooth-enabled dongle called the DataPlug that plugs into the car's OBD (on-board diagnostics) port, which is usually found under the driver's side of the dashboard. As the first step in connecting to the test car sent to us (a Tiguan SUV), we downloaded the Volkswagen Connect app from the App Store on our iPhone and fired it up. Android users needn't fret as the app is available on the Play Store as well. After asking us to select the country and accept all the boring terms and conditions, Connect wanted us to pair it with the DataPlug. 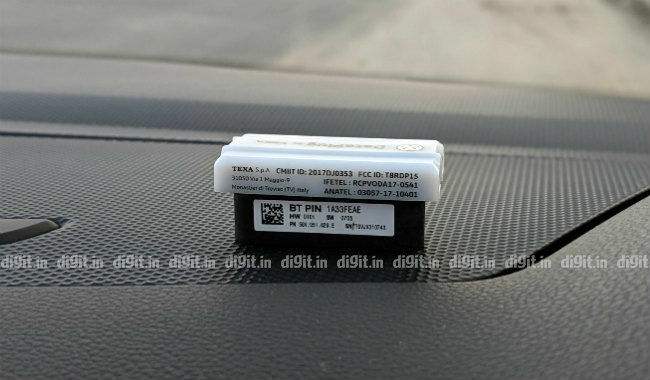 Now, if you bought your Volkswagen car with the Connect system, the DataPlug should already be plugged into the car's OBD port. This less-known port is generally found behind the dashboard on the driver's side; it's usually used for diagnostics by service partners and isn't designed to be exposed to the user. But if you've just bought the Connect system, you should have the DataPlug with you. To pair the app with the DataPlug, we had to enter an eight-character alphanumeric PIN. Note that the PIN can be found on a small label on the side of the DataPlug. Upon entering it. Connect wanted us to plug the DataPlug back into the OBD port. To establish a connection, Connect asked us to turn on the car's ignition. Within a minute, Connect discovered the car. Connect then wanted us to favourite a service partner of our preference from a list of nearest authorised Volkswagen service partners. This step seemed mandatory. After showing an option to sign up for a Volkswagen ID, Connect finally showed the main screen of the app. The main screen showed basic information about the car like VIN, remaining fuel level, battery voltage, and odometer reading. It also showed information about the car's previous trip, among other things. Selecting My Volkswagen from the app's hamburger menu led us to a screen that showed us the car's model name, VIN (vehicle identification number), remaining fuel level (in litres) and range (in kilometres), battery voltage, odometer reading, next ideal service date, oil change date, and tyre information. Additionally there was an option to view technical specifications about the car such as engine capacity, number of cylinders, and power output. A screen called Trips showed recently made trips in the car. Details included time taken on the road, kilometres covered, start and end time, and GPS map data. Optionally we could add a custom trip of our own in case it wasn't recorded. A Statistics screen showed information like fuel efficiency, kilometres covered in the day vs kilometres covered at night, driving style, etc. A screen called My Challenges gave us driving challenges for better fuel efficiency, long distance coverage, etc. A screen called Parking Space let us record the GPS position of our parked Volkswagen for future reference. Lastly, a screen named Assistance Call showed us easy ways to reach out to Volkswagen's on-road assistance unit. While we found many of these features useful, we found some others quite pointless. For example, Connect could help an owner track the whereabouts of a hired driver and check for any signs of rash driving. It might even help a driver call roadside assistance more quickly as they needn't Google information hurriedly if something goes wrong. The system might even indicate the car's parked location more accurately than Google Maps does but it doesn't store it automatically after parking. 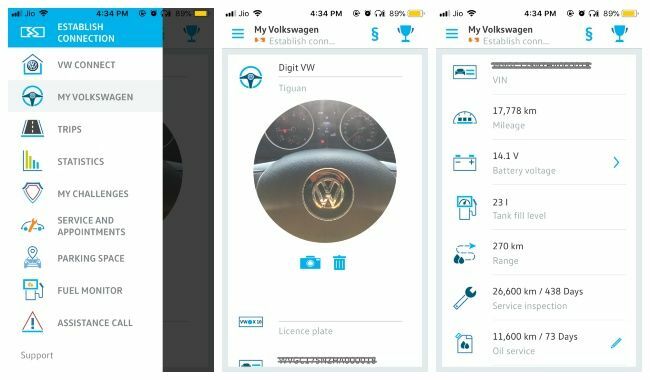 In fact, we were able to imagine quite a few real-world scenarios where the Connect app comes in handy for the average Volkswagen car owner. However, the concept of challenges seemed gimmicky. We weren't able to picture too many serious users benefitting from those virtual badges. We also thought displaying information like battery voltage and technical data like power output and number of cylinders in the engine was outright pointless. 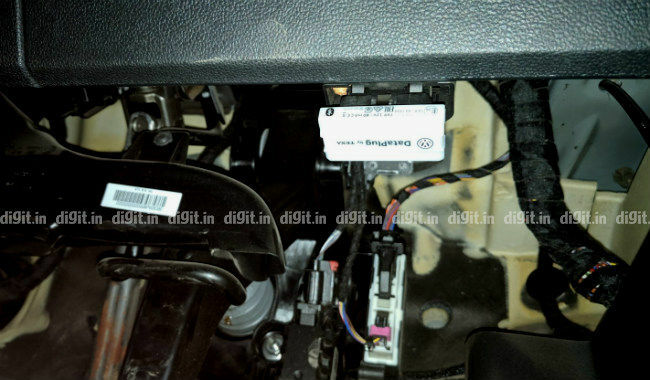 Nevertheless, we found most aspects of the Connect system useful for the typical Volkswagen owner. Is it worth its asking price of Rs 5,500? Now that depends on how much control you want over your Volkswagen while you're away from it. To us, Volkswagen Connect seemed to make the most amount of sense for owners who frequently leave their cars in the hands of drivers and valets but not so much for owners who drive the cars themselves. which is better antivirus NPAV or Quick Heal?? ?